Includes (1) pinata, (2) bags of pinata filler toys and candy, (1) pinata buster, and (1) pinata blindfold. Everything you want for your celebration all in one kit. 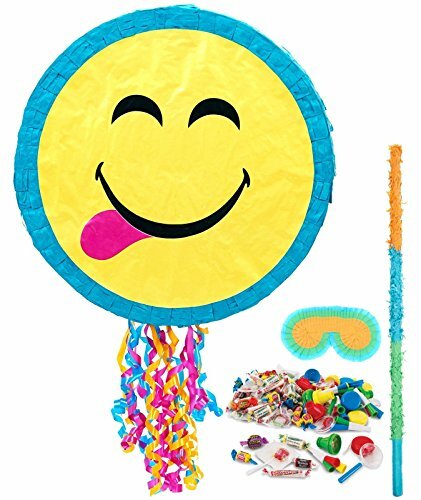 The Show Your Emojions Pinata Kit includes: (1) Emoji String Pinata, Candy and Toy Pinata Fillers, (1) Pinata Blindfold, and (1) Pinata Buster.